As I write our Monday morning alert, hurricane Irma is being downgraded to a tropical storm. The second devastating hurricane to hit the United States caused major damage in Florida over the weekend. And yet, that damage now appears to be much less than many forecasters expected. Over the past couple of weeks, we’ve seen a number of insurance stocks trade lower. This makes sense when you think about all of the losses that these insurance companies are going to have to pay for. With so many homes devastated by floods from Harvey and Irma, home insurers will be assessing damages and writing big checks for months and months to come. And don’t forget about all the vehicles that were under water, along with boats, RVs, and other valuables that were insured against catastrophic loss. It’s no wonder investors are bailing out of these stocks and sending shares lower. But are these long-term businesses really as vulnerable as the market seems to think they are? 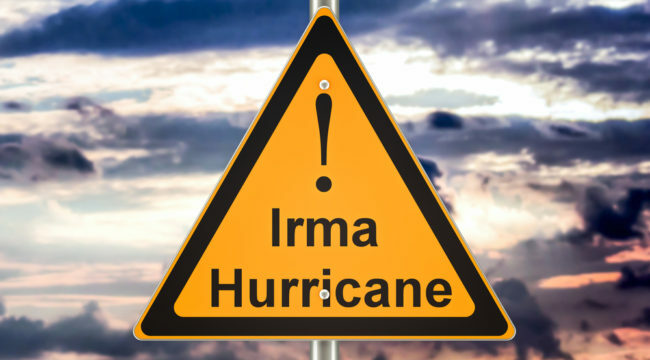 First, insurance companies very carefully re-insure against major losses such as a hurricane. In other words, the company you buy a home or auto policy from may turn around and buy a major hurricane policy from a financial company or group of wealthy investors. That way, if a major storm like Harvey or Irma hits, the insurance company receives a big check to help pay for the claims it will process. Insurance companies may also have financial futures contracts that pay out big sums if rainfall is above a certain level over a short period of time (or some similar event occurs). The key point is that these companies are experts at managing their risk. So over the long haul, they turn a reliable profit regardless of what storms hit. A second point to keep in mind is that a giant wave of new insurance policies will be sold. Think about all of the individuals who will have to buy new cars or trucks. All of those vehicles will have to be insured. Not to mention the natural human reaction to buy insurance after seeing a major storm hit the U.S. So even while paying out large checks to cover claims, I expect insurance companies to be taking in large amounts of money from new and existing customers who want to insure their property against another storm in the future. While there are hundreds of property and casualty insurance companies that have pulled back as a result of Harvey and Irma, here are three stocks you can get started with and buy at a nice discount to where they were trading before the storms hit. Travelers provides both personal and commercial insurance services. So the company will be paying claims not just for homes and other personal property losses, but also for commercial buildings and other corporate losses. The stock dropped from a high above $130 just last month to a current price closer to a low below $115 last week. 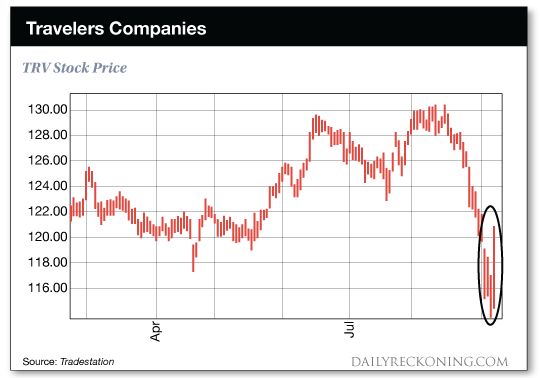 While the rebound has already begun, you can still pick up shares at a discount. It helps that TRV currently pays you a 2.4% dividend yield. With six different business lines, The Hartford Group has a well-diversified group of financial services it offers to customers. But property and casualty insurance certainly makes up a large portion of the company’s revenue. Shares fell from a multi-year high above $56 last month to a low of $51.20 last week. Today, you can pick up shares somewhere in between those two extremes as the stock has already begun to move higher. 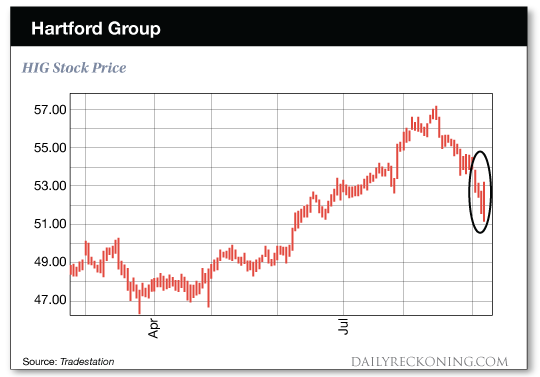 Hartford currently pays a 1.7% dividend yield. You’ve seen the commercials… Customers are in good hands with Allstate. And investors are in good hands as well! The stock pulled back from a high near $95 to last week’s low of $85.59. 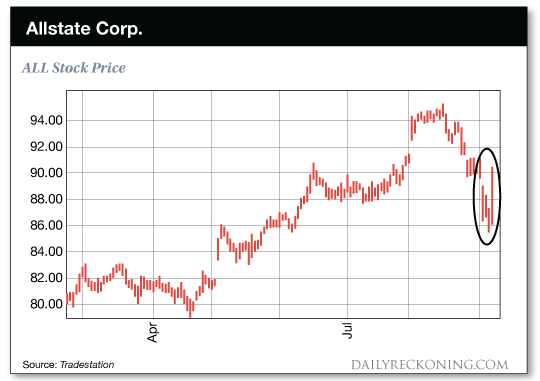 Moving forward, I expect the stock to continue its long-term bullish trend as the company writes new policies in the wake of these two hurricanes. ALL currently pays a 1.7% dividend yield. The information is still coming in regarding losses from both of these devastating storms. And I expect to see more volatility in these stocks as the data becomes clearer. Some insurance companies may shoot higher very quickly. While others may lag behind a bit longer if claims turn out to be more challenging than expected. So it’s a good idea to invest in these companies over time rather than all at once. I recommend using a strategy called “dollar cost averaging” for turnaround situations like this. Using this simple strategy, you’ll divide the money you want to invest in these situations into 4 or 5 different transactions. If you make one transaction every week, you’ll be able to get some money invested right away. And you’ll also have some money to buy shares more cheaply if these insurance stocks pull back again over the next few weeks. This is a safe way to get some of your capital invested right away (in case the stocks move higher very quickly), while still getting a good deal on shares if the stocks trade lower as more information comes out. In time, you should do very well buying these insurance companies at today’s discount price.